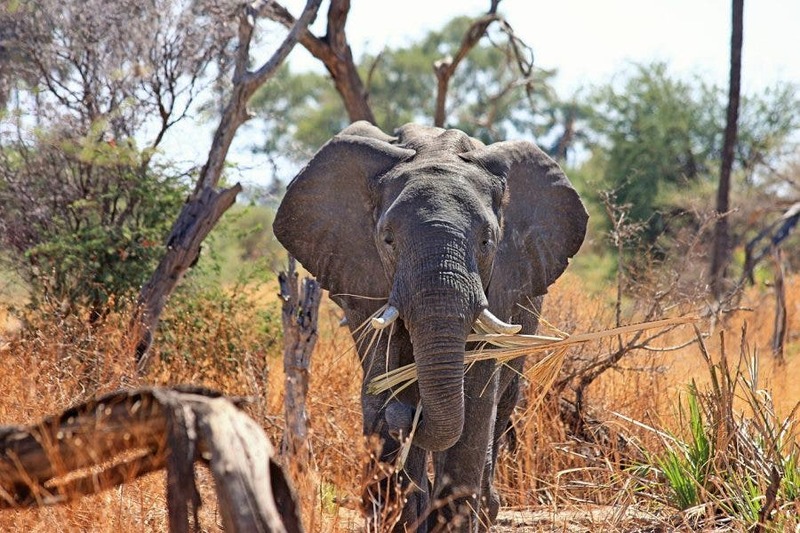 Kruger National Park (KNP) rangers have helped a family reach closure in South Africa by recovering the remains of their relative, a suspected poacher who was killed by an elephant and then allegedly eaten by a pride of lions. With the help of the South African Police Service (SAPS) in Komatipoort and Skukuza, the rangers managed to retrieve the man’s remains – just his skull and part of his clothing – from the Crocodile Bridge section of the world famous national park, on Thursday (4 April). Managing Executive of the KNP, Glenn Phillips said: “Entering Kruger National Park illegally and on foot is not wise, it holds many dangers and this incident is evidence of that. According to the family of the deceased, they were called by the man’s accomplices who said he had been attacked and killed by an elephant while they were in the Kruger on Tuesday evening (or Monday according to SAPS) to poach rhino. SAPS said the accomplices claimed to have carried his body to the road so that passers-by could find it in the morning. They then vanished from the Park. The family notified Skukuza Regional Ranger, Don English who, after assuring the family that he would do everything possible to recover the remains and bring them closure, arranged a search party. A joint intelligence driven operation in search of the dead poacher’s accomplices was also launched. Rangers on foot, accompanied by members of the KNP Airwing flew over the area that was described by the family but due to failing light, could not locate the body. The team resumed the search on Thursday morning, following the arrest on Wednesday evening of three of the man’s alleged accomplices, aged between 26 and 35. Using information gathered from the suspects, and with a further compliment of Field Rangers, the remains of a body were discovered during Thursday’s search. “Indications found at the scene suggested that a pride of lions had devoured the remains leaving only a human skull and a pair of pants. Skukuza police were notified immediately and are currently busy with further investigations into the incident,” said KNP in a statement. Phillips commended those who were part of the search party for helping the family find closure and extended his condolences to the relatives of the deceased. The three poaching suspects (or four, according to KNP) are in custody and will appear in court on 12 April, pending a formal bail application. During their arrest, two .375 hunting rifles and ammunition were seized, said SAPS. The men appeared briefly at the Komatipoort Magistrate’s Court on Friday, facing charges of possession of firearms and ammunition without a licence, conspiracy to poach as well as trespassing. An inquest has been opened in connection with the dead suspect.